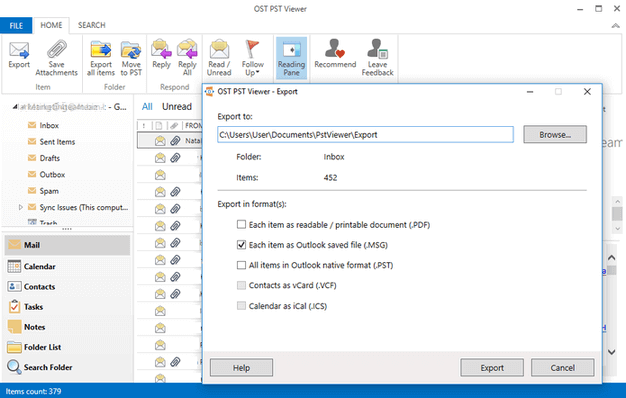 View and read PST files content using Free OST PST Viewer software. Open to view multiple PST and OST files of any size created by any version of Microsoft Outlook. Open view and read orphaned PST files without connecting them to Microsoft Outlook. Quick search feature of the software allow user search PST file content for attachments, contacts, calendars, notes in any folder. With Pro version use advanced search, and filter the items by date, field or folder. Choose a PST or OST file you would like to review. 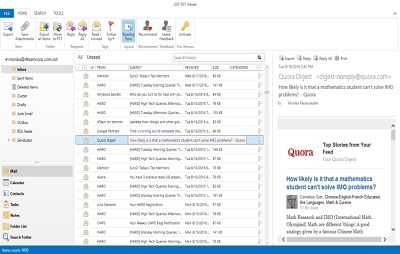 You can now easily explore your Outlook PST files. Export and convert items to MSG, VCF, iCal file format.